Built for a repeat owner that had circumnavigated the world with his first Perini Navi, S/Y P2 represented his wish to sail on a smaller, faster yacht – without the limitations of a carbon fibre hull. 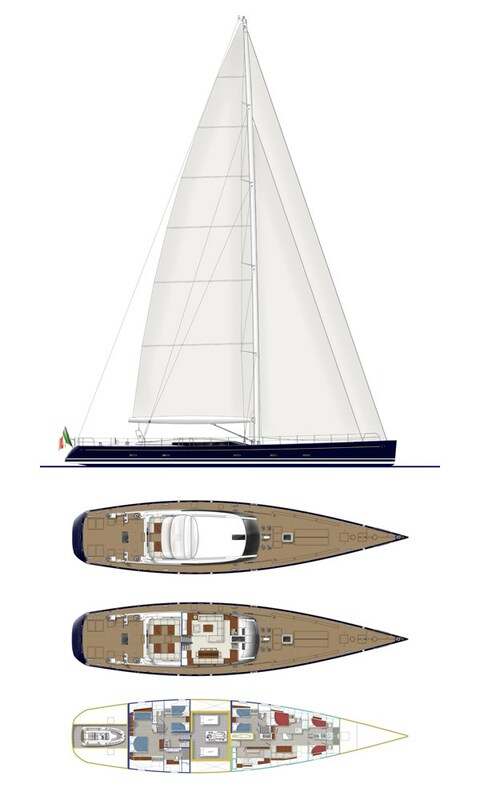 Perini Navi engaged the services of naval architect Philippe Briand to design the perfect Bucket racer. And with an impressive array of victories around the world, S/Y P2 did not disappoint. P2 represents a remarkable and rare balance of luxury cruising and high performance racing. Since her launch in 2008 she has proved to be a superb platform for successful charters, worldwide voyages and exciting team racing. P2’S cockpit is her hub and her luminous deck-saloon create an inviting living area with panoramic views. Her clean design and high style features such as canting deck chairs enthrall guests.